Today is Columbus Day, which means government employees and a few lucky others get a day off. The holiday celebrates Christopher Columbus’ “discovery” of the Americas, which happens to be an important date for cigar fans. 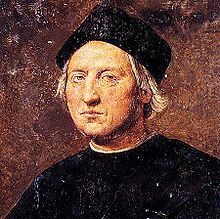 Whatever the exact truth, there’s no denying that Columbus and his crew were pivotal in the history of cigars. And that is reason enough to light up a fine cigar this Columbus Day.